(Family Features) If the way to your loved one’s heart is through the stomach, there’s no better way to start off this Valentine’s Day than with a homemade breakfast prepared with love. Whether you’re whipping up breakfast for a spouse with a sophisticated palate or trying to tempt the taste buds of your littlest loves, explore these ideas to get inspired. Red is the color of love, so build your menu around fresh strawberries or raspberries, which pair perfectly with French toast or crepes, and can even dress up a simple cereal. For a more sensible menu, opt for a fruity berry smoothie or a parfait layered with fresh fruit, low-fat yogurt, and granola. 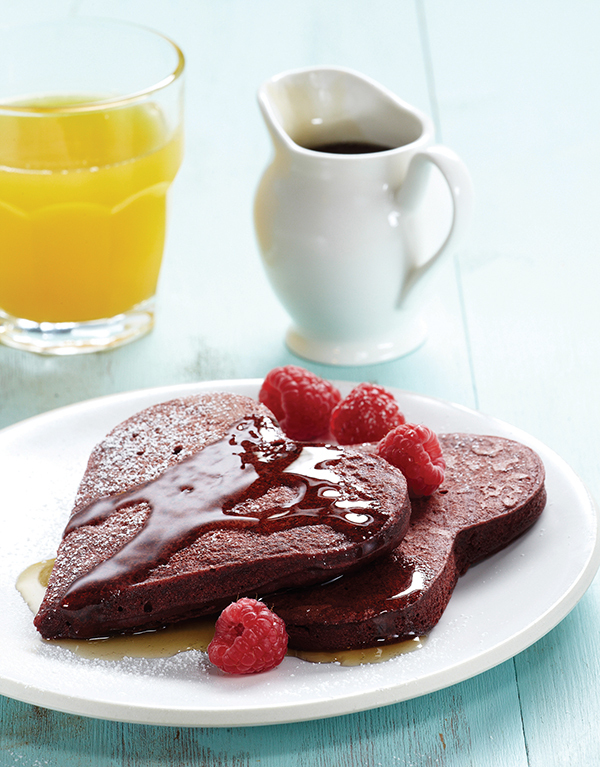 Add a hint of loving indulgence by sprinkling dark chocolate shavings on top. Find more recipes you’ll love to share with your nearest and dearest this Valentine’s Day at Culinary.net. In a large bowl, combine flour, sugar, baking cocoa, baking powder, baking soda, and salt; stir well. In a separate large bowl, whisk together egg, buttermilk, unsalted butter, vanilla extract, and food coloring. Add to flour mixture; stir to combine. Allow mixture to sit 5 minutes. Heat nonstick skillet or griddle over medium heat. Brush with oil or butter. Add about 1/4 cup batter to skillet. Cook about 2 minutes, or until bubbles start to form on top. Flip and cook 1-2 minutes, or until bottom is lightly browned. Serve immediately with butter, powdered sugar, syrup and berries, if desired. 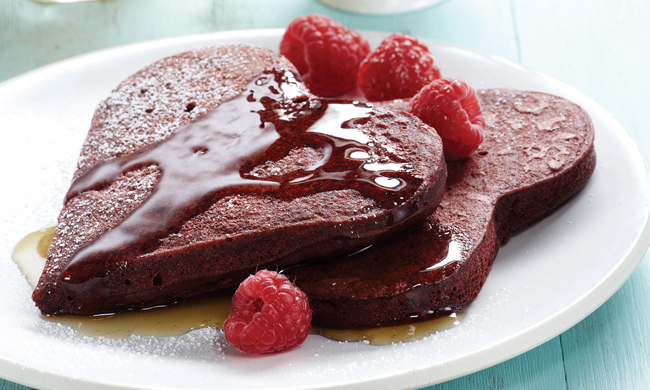 Tip: If using pancake or cookie cutters, be sure to coat with oil so pancakes don’t stick. Place cutters in skillet and pour batter into cutters. Remove cutters before flipping.